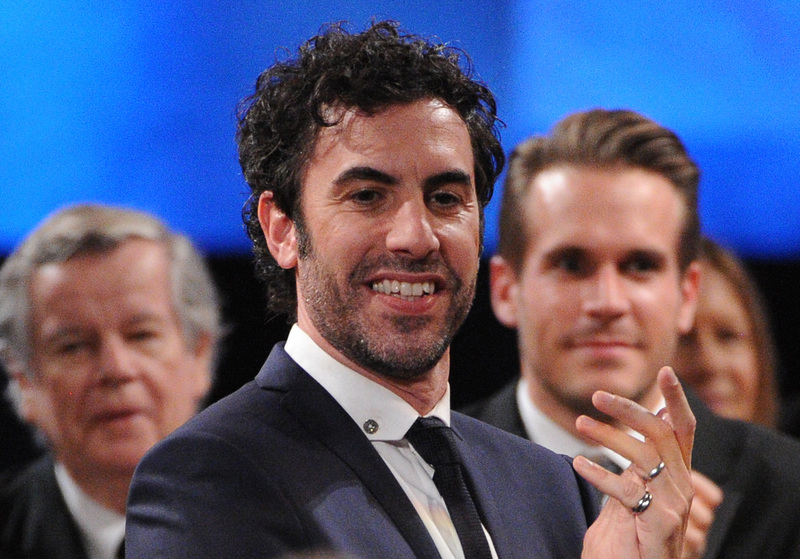 Worst news ever: Sacha Baron Cohen has dropped out of the upcoming biopic of Queen frontman Freddie Mercury! It's a huge blow because Cohen seemed perfect for the role of Mercury, and not only because of the striking physical resemblance. Deadline reports that the reason for his exit was deemed as "creative differences." Apparently, Cohen had a grittier vision in mind for the biopic, whereas the producers and supposedly members of the band, as well, wanted a more PG version. Question: how can you write a PG version of Freddie Mercury's life? As much as I want to see a Queen film, I have to side with Cohen here. He was right to bow out once he discovered that the remaining members of the band wanted a lighter film that highlighted the band's success — Cohen wanted to tackle the tragedy of Mercury's life. There hasn't yet been a Freddie Mercury biopic, and if there is one, it should be as real and raw as possible, not some light-hearted fare for the masses. Whoever replaces Cohen on the project will have to be on board for something more digestible, which is unfortunate for everyone involved.